Come join us on November 9th for a Toptal networking event in London at The Princess Louise. 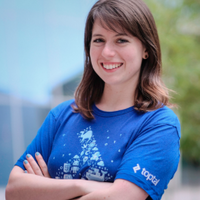 At the event, you’ll have the opportunity to connect with other Toptalers from all over the world like Asia Lindsay, Toptal’s Europe Community Lead, share experiences, and have some fun while enjoying good company. Please RSVP on this page to give us an accurate head count. The table is booked for 7:00 PM so please make sure you arrive on time. For any questions regarding this event, please contact Asia Lindsay.